When no longer firm enough to enjoy fresh, bananas take on dramatic flavor that carries far. It’s like a second career as a lounge singer instead of receptionist. 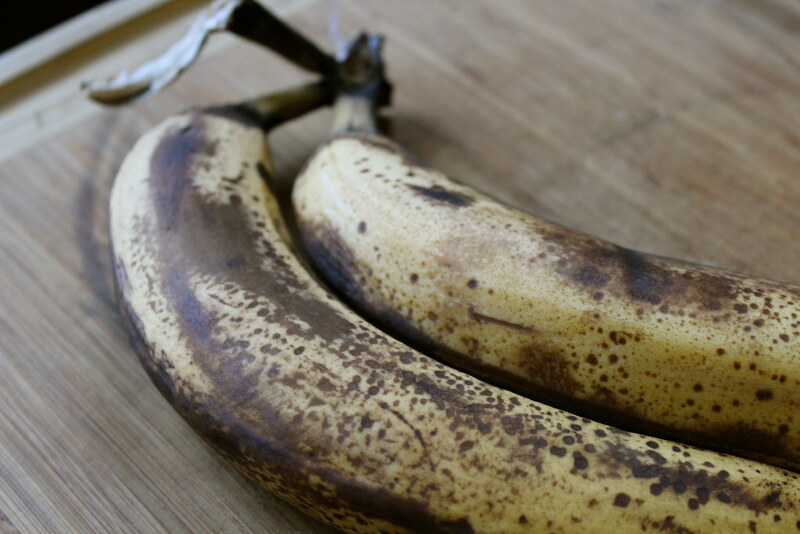 Pocked with brown age spots on the peel, the overripe flesh is perfect for mashing up into a smoothie, or baked good. But one way to increase the sweetness — even of underripe fruits — is to caramelize it on a pan. That’s what I’ve done with these bananas, before folding it into an ice cream. I’ve heard of frozen desserts based on pure bananas, because its naturally creamy texture emulates ice cream. But that’s not what I’ve done here. I made a rich, eggy, custard base to envelop the banana in sweet, dairy bliss. There’s a time and place for everything, right? These bananas were clearly destined for some cooked preparation. The last stragglers from a once healthy-looking bunch, they two burst open instead of tearing apart at the stem when I tried to pull them apart. I’d wanted to try to keep some chunks intact once they were in the ice cream, so I chopped them into sizable pieces before browning them in a small amount of butter. 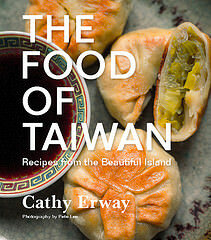 They quickly turned translucent and began to spill some juices in the pan, and filled the room with a wonderful aroma. My goal was to get them to just this stage — slightly caramelized — before pulling them to set aside. While doing so, I added a generous pinch of sea salt just to see how that would play. Salty caramel is almost a misnomer for sweets these days, it’s so popular. I can totally see why, and combined with the tropical banana flavor, it’s a hit as well. I didn’t add any vanilla or other flavorings to the ice cream base, and the final product proved it didn’t need any. 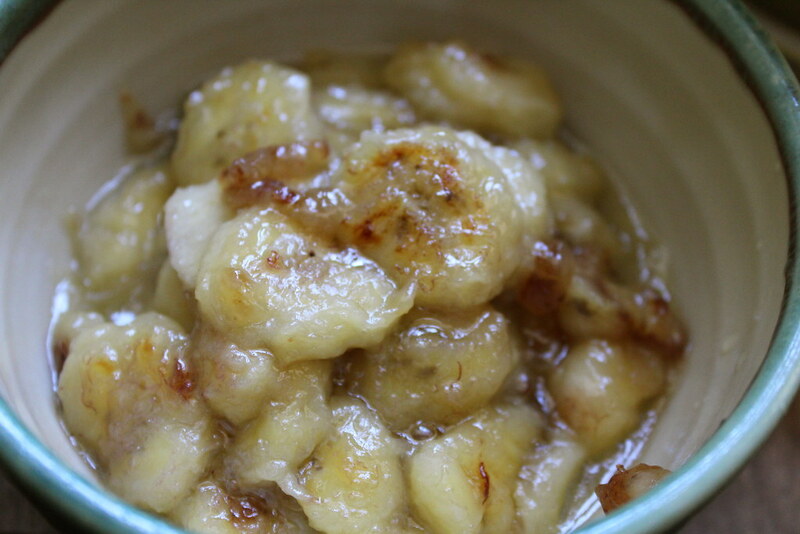 A couple of mushy bananas go a long way. 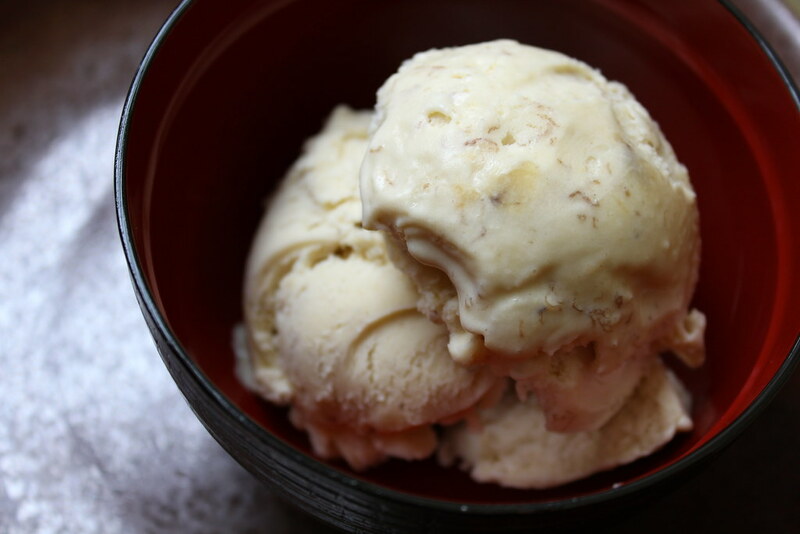 The smudgy, slightly salty, caramelized bits on some pieces were pleasant bursts of flavor to come across while working on a scoop. So easy, I don’t see why ice cream isn’t the de-facto solution for old bananas instead of quick breads. Melt the butter in a wide, heavy-bottomed pan over medium-high heat. Spread the banana slices across and let them brown for at least 1 minute, without turning. Sprinkle on the tablespoon of sugar and the salt. Flip and toss the bananas around to get color on more sides. 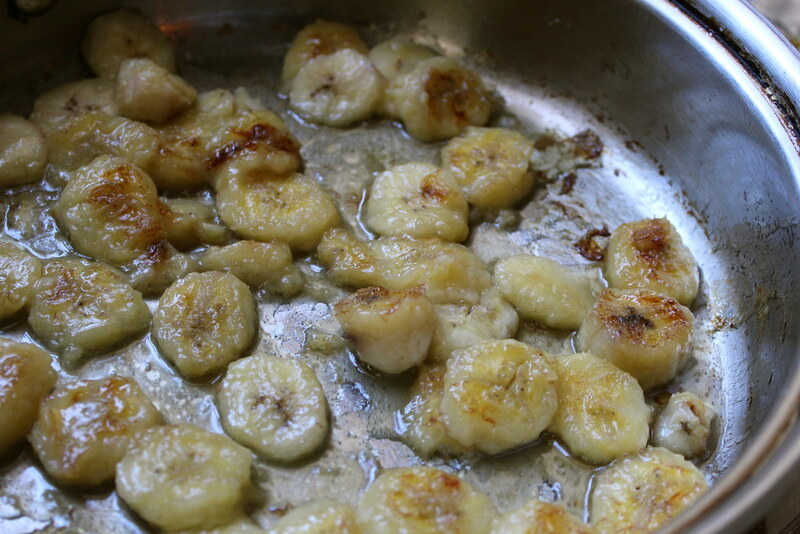 Once most of the bananas have softened and caramelized a little, transfer to a bowl. Heat the milk and cream in a saucepan just until it’s about to boil, and remove from heat. Meanwhile, beat the yolks with the remaining sugar in a bowl until it’s lighter in color and fluffy. Add a small spoonful of the hot milk mixture to the egg mixture while whisking rapidly. 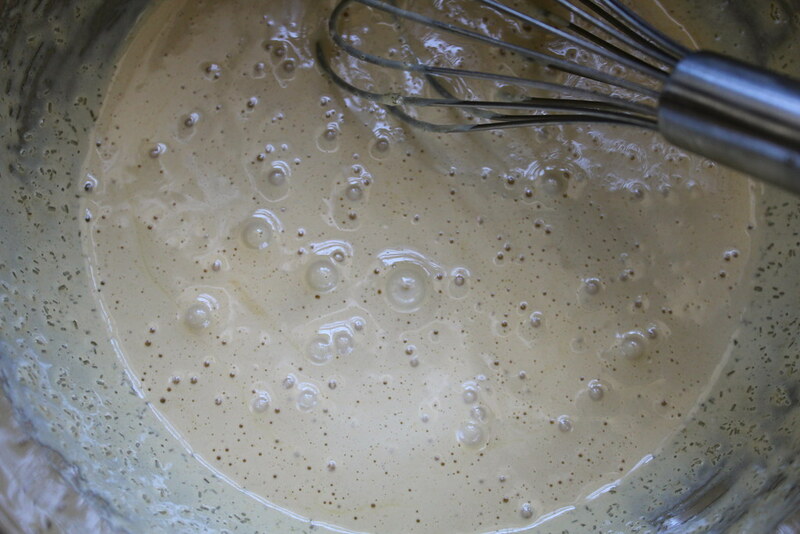 Continue adding a very small amount of the milk mixture at a time while whisking to temper the eggs. Once about 1/2 cup of the milk mixture has been added, transfer the egg mixture to the saucepan with the rest of the milk mixture and stir well. Heat over medium and stir constantly, about 6-8 minutes or just until the mixture is smooth enough to coat the back of a spoon. Do not let boil! Let the custard cool. Gently fold in the bananas and store in an airtight container. Chill at least 6 hours or overnight. Transfer to an ice cream maker and follow the directions of the machine to turn it into ice cream. Eight brownie points: There’s something to say for using fresh fruit in an ice cream flavor, but not that much. True, bananas are an excellent source of potassium, but this ice cream is an excellent source of cholesterol, sugar, saturated fat. At least there’s calcium, too. Five maple leaves: I know what you’re thinking — bananas are a hopelessly non-local fruit. For what it’s worth, you can find organic bananas, which were *hopefully* not doused with damaging chemical pesticides and fertilizers and which, according to some, tend to bruise and age more quickly. Mine did, at least. The rest of the main ingredients in this ice cream — milk, cream, butter and eggs — were from responsible, local farmers at the Greenmarket, whose tasty products help make this ice cream even better. It sounds so yum! I like the taste of salted caramel so much! Thank you for sharing the recipe! I’ll try it soon! A good post of this service,This is so awesome feeling to know about the latest version of Mozilla Fire fox is available now.Now this time this is more safe and more faster Browse Power.Thanks for this extra ordinary search engine. It must be a hard choice but will be worth it in the end. Visit https://www.essaywritingnz.com/ for interesting topics about article writing.